We provide concrete engraving or concrete scoring -the use of special tools and equipment to engrave or score patterns and designs into existing concrete. 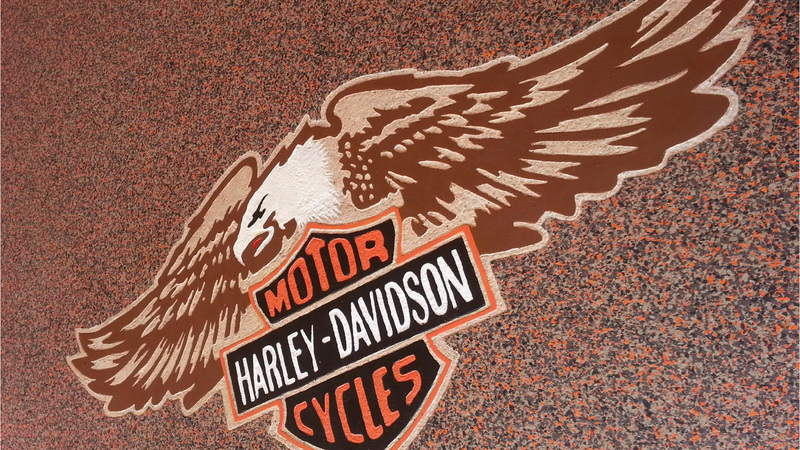 Unlike toppings or overlays, engraving is a permanent treatment that won't wear away or lose bond because the patterns are carved into the concrete rather than applied on top of it. When the concrete is further enhanced by staining, the decorative possibilities are truly spectacular. New or old concrete can be engraved. We use a patented scoring and engraving equipment to do the concrete engraving work. 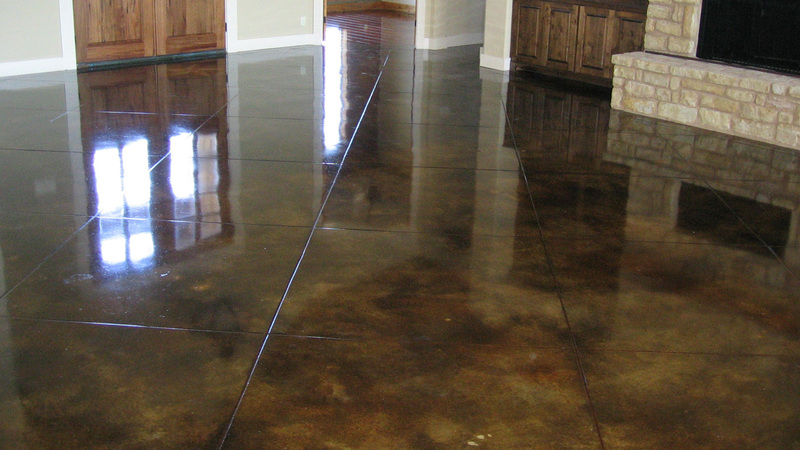 The flaws in old concrete can actually contribute to the look of engraved concrete with many patterns. The design options are almost unlimited. We can create custom designs, company logos, brick, tile, stone or just about any design you can think of. The cost of any design is based on the detail of that design and the time it takes to install. The concrete is cleaned and prepared to provide a bond for the stain to the concrete. 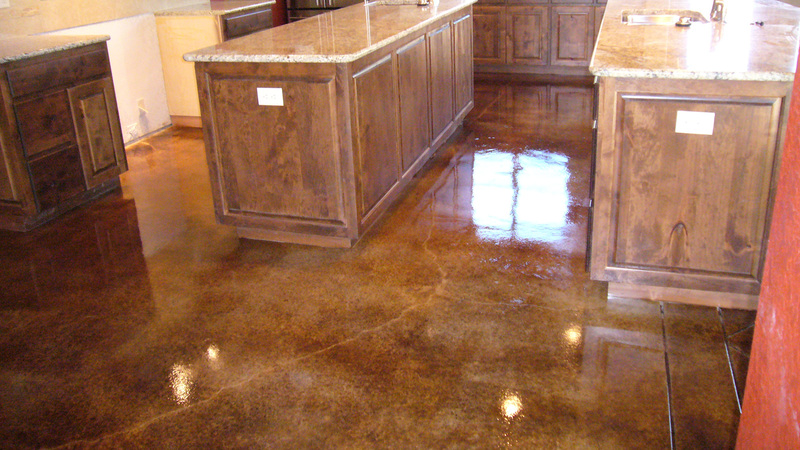 The concrete is stained either before or after the design is installed depending on the desired look. Floors are cleaned and a sealer is applied. 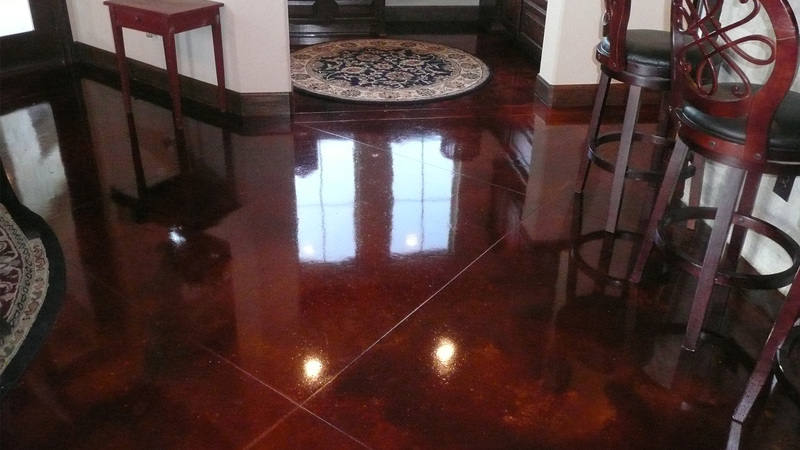 All Pictures and Documents on this site are the property of Precision Concrete Staining & Engraving, LLC. Any unauthorized use of these materials is copyright infringement punishable under Federal Law. 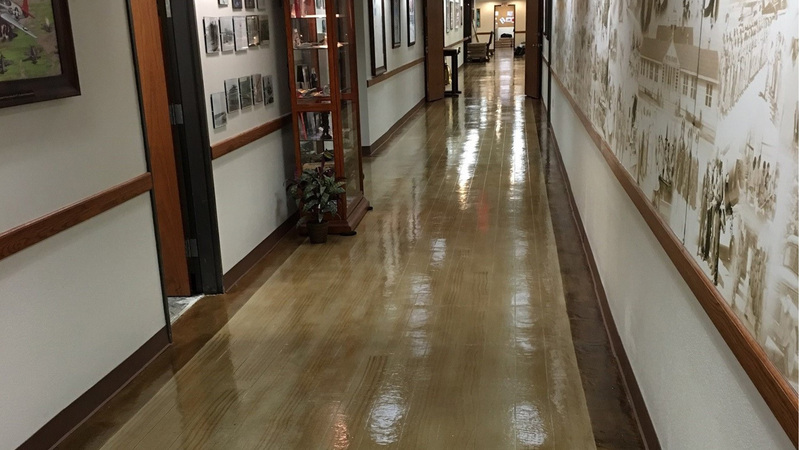 All information provided is provided for information purposes only and does not constitute a legal contract between Precision Concrete Staining & Engraving, LLC and any person or entity unless otherwise specified. Information is subject to change without prior notice. Although every reasonable effort is made to present current and accurate information, LinkNow!™ Media makes no guarantees of any kind.